Stimulating experience at IEEE International Joint ISAF/IWATMD/PFM! From May 12-16 us-biomat group attended at Penn State University (State College, PA, USA) IEEE International Joint Symposium on the Applications of Ferroelectric, International Workshop on Acoustic Transduction Materials and Devices & Workshop on Piezoresponse Force Microscopy (ISAF/IWATMD/PFM). We presented the work titled: ‘Pressure sensitivity response of polymeric ferroelectret foam films’. Like past years, we found this workshop a very educational and stimulating experience as well as a good chance to meet collegues from around the world showing cutting-edge works. This entry was posted on May 23, 2014 by M.D. 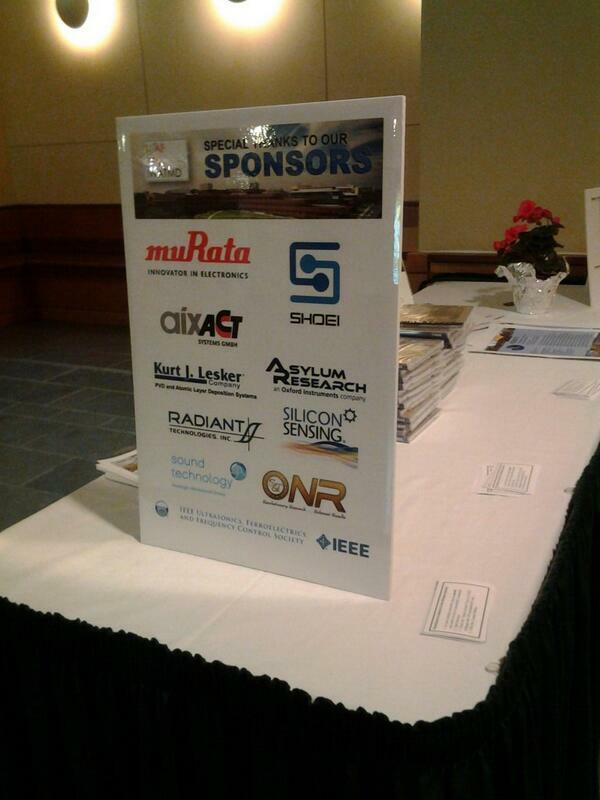 Fariñas in Congresses, News and tagged ferroelectret, foam, IEEE, ISAF, IWATMD, PennState.